A spring perfect hoodie, water-resistant boots, a fit-and-flare dress, and more items BuzzFeeders are loving right now! 1. 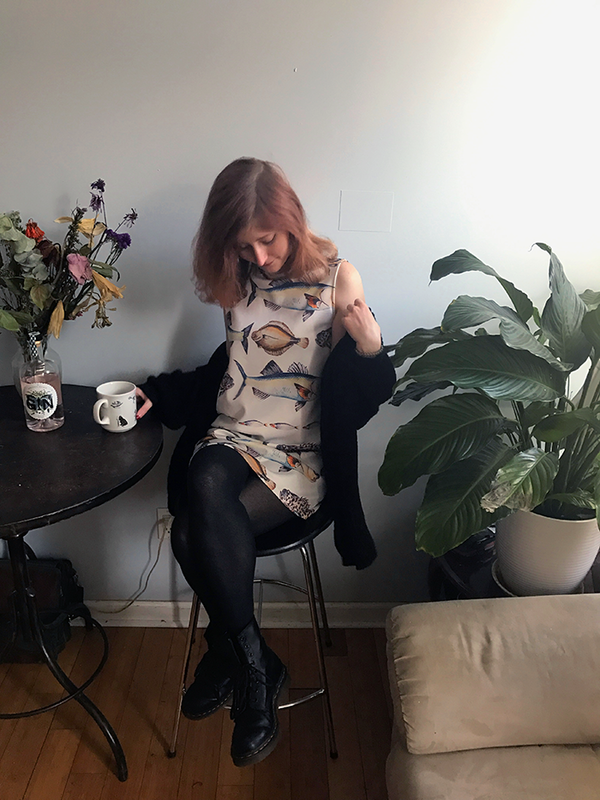 A fish-covered shift dress for bold dressers fishing for compliments. I've been buying most of my clothes on Amazon these days, and my wardrobe has never been better — or weirder. Take, for example, my prized fish dress. 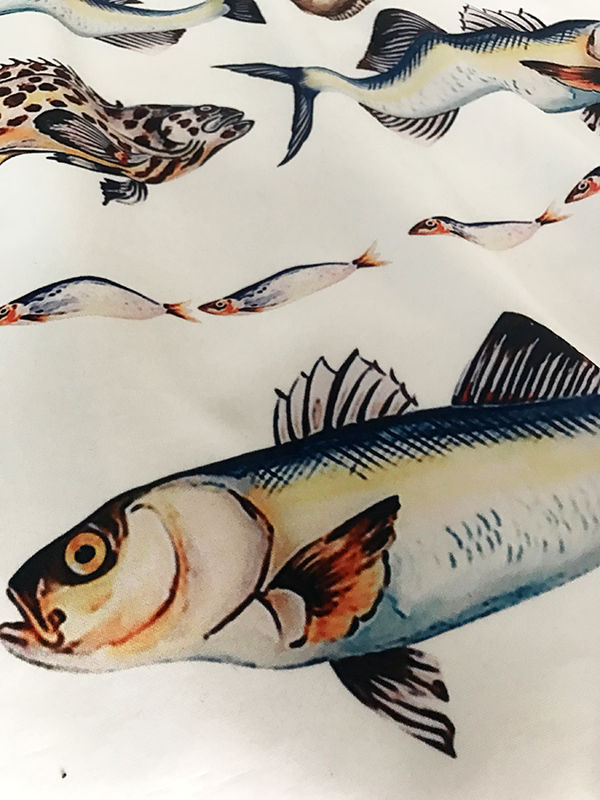 This amazing shift dress is made with thick material, has a zipper on the back, sports a mini turtleneck, and, oh yeah, is covered in tuna, flounder, and porgy (maybe, I'm not a fish scientist). Get it from Amazon for $18.99 (available in sizes S–XL). 2. A fuzzy jacket worthy of your outfit rotation when it's a bit chilly out. When you live in a place that feels like it has nine months of winter, it’s all the more important to have an arsenal of coats in your wardrobe — and I actually found this gem while perusing through a post on BuzzFeed. I clicked on the furry coat out of sheer curiosity and seriously thought it was a site glitch when the price shown was $19.99. Naturally, I had to purchase. Get it from Amazon for $19.99+ (available in sizes S–XL and in black and pink). 3. A pair of water-resistant boots to get you through rainy season and then festival season and then other seasons. I'm resistant to weatherproof shoes, which is why on many wet days this winter I've defiantly worn these velvet ankle booties. But there are some days — like when your office emails you the day before to say it's OK to work from home if you're snowed in tomorrow — when you simply have to leave the velvet boots at home. 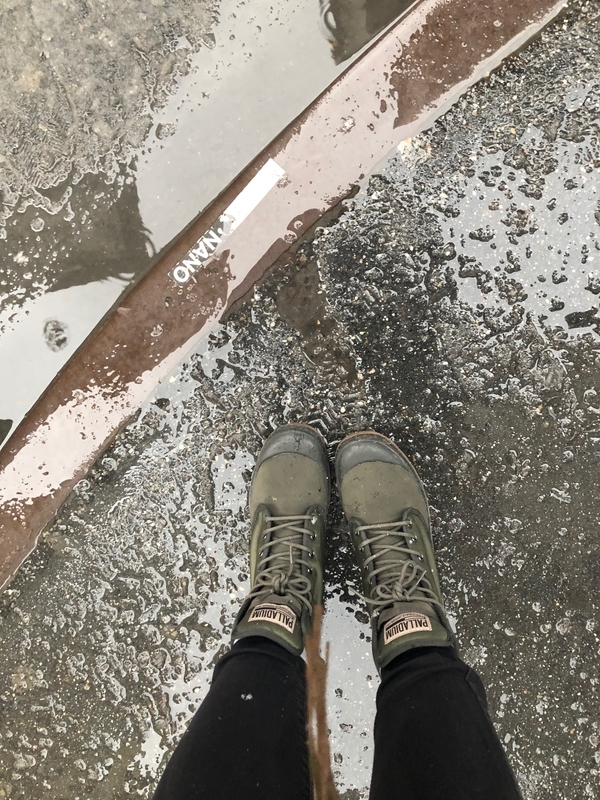 (BTW, for *legit* snow shoes, these snow boots that I reviewed are cheap and great.) 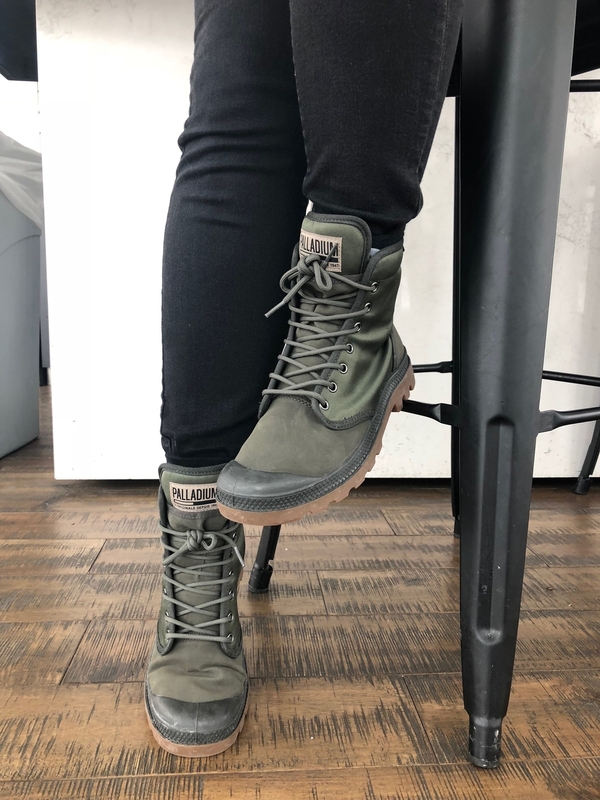 So as a North Carolinian who now lives in NYC, determined to actually go into the office to prove something to nobody in particular, I slipped on my water-resistant Palladium boots over my black jeans and went into work on a day when the powers that be said we could work from home. Get them from Amazon for $35.02+ (available in men's sizes 8, 8.5, 10–11, and in green and black), Jet for $49.99 (sizes 7–12, in black), 6pm for $49.99 (sizes 4–13, in black), or Walmart for $64.97 (sizes 7–14, in black). 4. A fit-and-flare dress that's the most perfect fit-and-flare dress in the history of the world. The fit-and-flare dress, when done right, may be one of the most perfect fashion inventions of all time. It looks great on so many body types, the swingy skirt is feminine and comfortable, and the fitted bodice makes me feel oh-so confident. I own a lot of these kinds of dresses; you could call me a connoisseur. 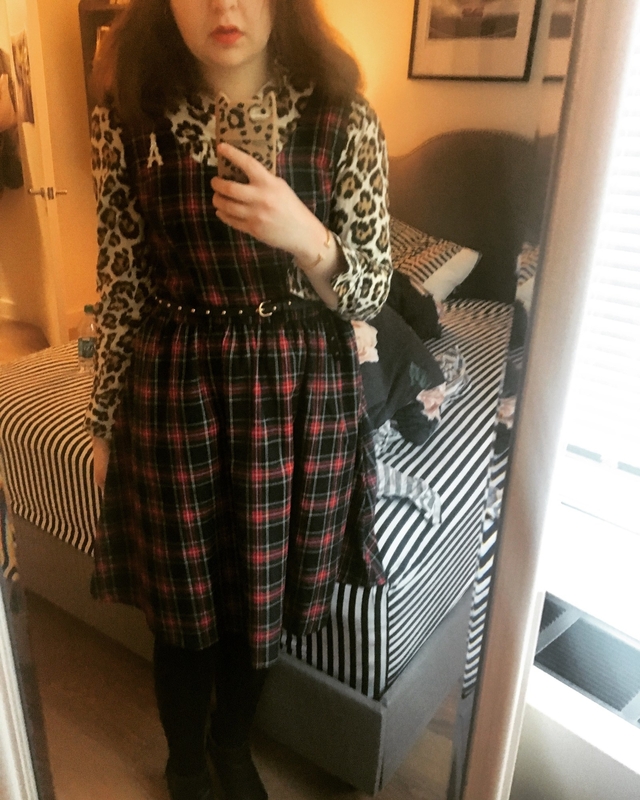 When I tried on this Modcloth number, I was floored by how well it fit. The straps are the perfect length and thickness, so they don't slide off my shoulders. The scoop neck is Goldilocks-worthy: not too low-cut, not so high that it can't show off a necklace or collar, but just right. 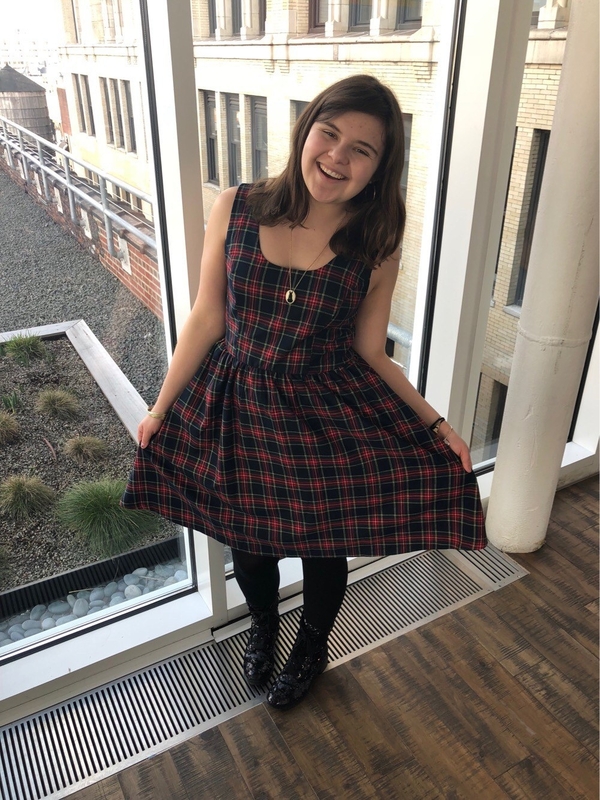 The waist doesn't have any stretch, so I ordered a large (I'm a size 8 and usually on the cusp of medium and large in dresses), and it's not constricting at all. The only complaint I could possibly think of is that the waist hits a teeny bit lower than I'd like, but it's probably because of the larger size. I'm glad I sized up, though, because it's so comfy and now I have room to layer. Get it from ModCloth for $79 (available in four prints and in sizes XXS–4X). 5. A stretchy athleisure moto jacket you could wear 24/7. Although I'm a born-and-bred East Coaster, when I was 13 my family moved to Minnesota, where I lived until I came back to New York for college. The resulting side effects of my five years there are occasionally saying "boat" with an extremely long "o," a belief that Midwestern baked goods are the best, and a deep and abiding love for all things Target. On a recent visit there, I went on a bordering-on-absurd shopping spree, stocking up on lovely bralettes for myself (and NY friends), deciding whether to buy a seventh (yes, seventh) pair of my very favorite Target leggings, and filling my cart with inexpensive and fashionable finds. One of the best things I bought is this JoyLab motorcycle jacket, which is almost certain to become a spring staple. Get it from Target for $44.99 (available in sizes XS–XXL and in sizes 1X–4X for $46.99). 6. A thermal PJ set can be your millionth excuse to stay in this weekend. I spend WAY too much time lounging around — and I regret nothing. Lazy days filled with Netflix and PJs are what life should be! So when I decide to splurge, I tend to so on the things that promote this kind of lifestyle. 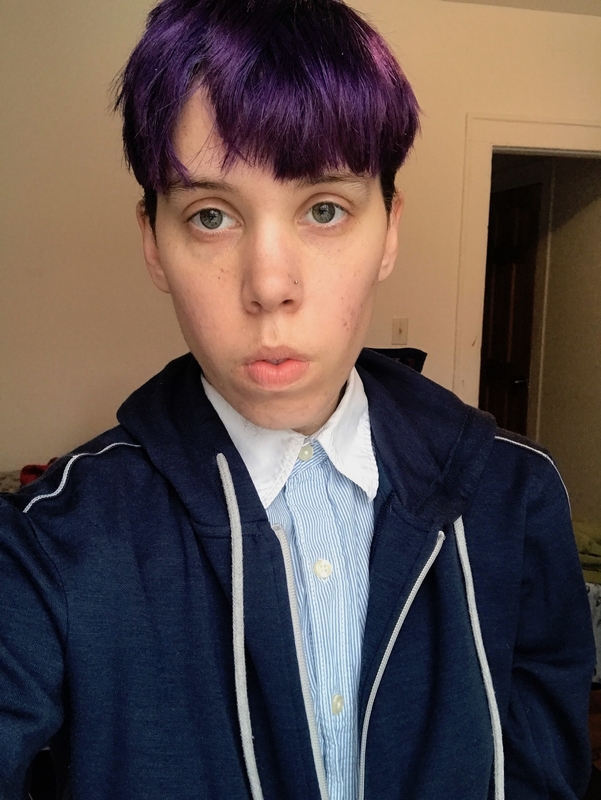 Lately, I’ve been really into “nicer” pajama options, and figure if I’m going to do nothing all damn day, maybe feeling cute will make me feel better about it. Also, like, isn’t lounging and sleeping in the lap of luxury pretty much #goals? I mean, don’t get me wrong, there is ALWAYS a time and a place for my 10-year-old, stain-riddled sweatpants, but every once in a while, I like to step up my doing-nothing-wear and this thermal Splendid pajama set helps me do just that. Get them from Splendid for $88 (available in two patterns and in sizes XS–L). 7. A merino wool hoodie thin enough for spring but warm enough for chilly bike rides. I love spring only because it is the perfect season for hoodies. But in an effort to not have my entire wardrobe consist of hoodies this spring (my dream, but I don’t have the space for it), I tried a thin Showers Pass bamboo merino wool hoodie. I was hoping it would give me the same warmth as a ~regular~ hoodie but without the bulk, and the navy color is one of the main shades in my spring capsule wardrobe because it goes with everything! I was also hoping this hoodie would be the perfect layer to wear while finally riding my bike, because although it seems we won’t get another bomb cyclone, it's still been pretty chilly in NYC. This hoodie turned out to be everything I was hoping it would be. I generally get cold easily, so it's a good layer to wear around the house, or in the office when I feel chilly. And I finally got to test it on my bike last weekend! 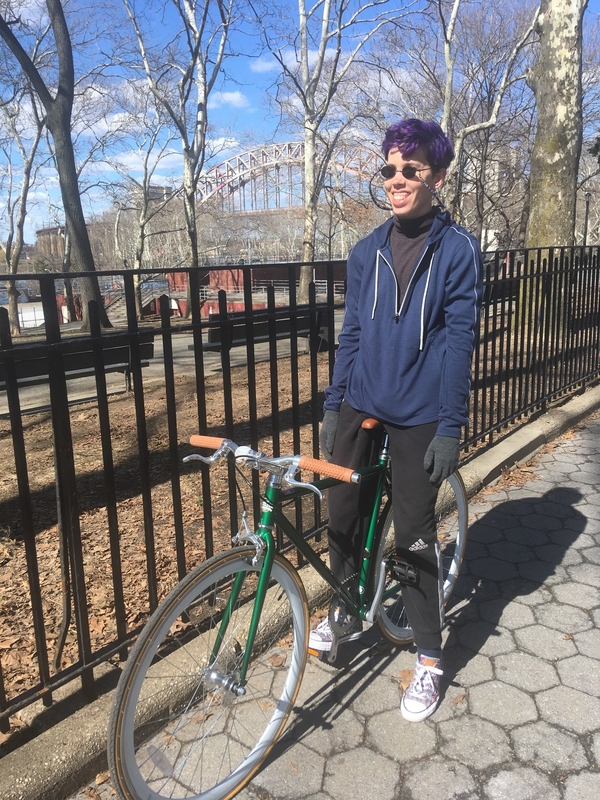 I was able to go out for a ride in a turtleneck and the hoodie in the 40(ish)-degree weather, and I stayed warm without wearing any unnecessary bulk. It also seems the bamboo in this fabric helped keep me dry, because usually any form of exercise turns me into a sweaty sweat monster, but no such thing happened on my ride. Get it from Showers Pass for $129 (available in sizes S–2XL and in navy and gray).